Save the Cord Foundation provides non-commercial and balanced information on cord blood preservation options globally. For parents and health professionals, the Foundation highlights the latest advances in cord blood and perinatal stem cell research from global experts. We support and manage a variety of educational outreach programs with our partners across the globe. Additional information on key cord blood industry events, cord blood banking options and inspirational patient stories can be found on our website. 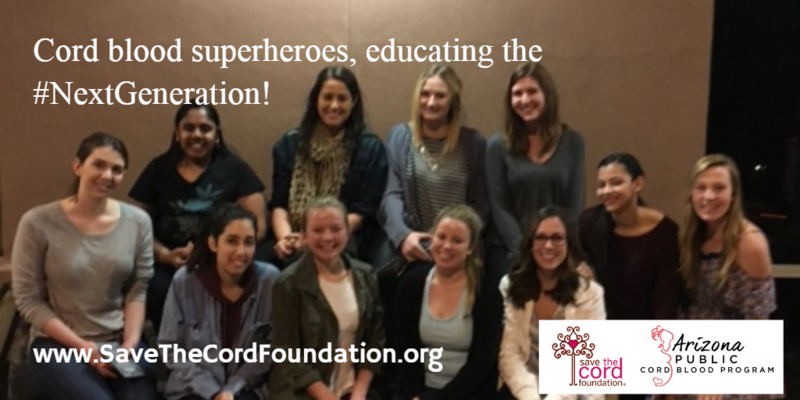 Save the Cord Foundation was established in 2007 and has become a respected unbiased resource for information on cord blood, cord tissue and perinatal stem cells. We began as an informational website but soon developed numerous educational outreach programs in cooperation with our key partners throughout the US. Today, our programs are crossing international lines. Next Generation: Cord Blood is a program specifically designed for our youth and is designed to respond to a growing interest in the new sciences, regenerative medicine, renewed efforts to fight cancer and STEM careers as these subjects relate to cord blood.